Pinch! 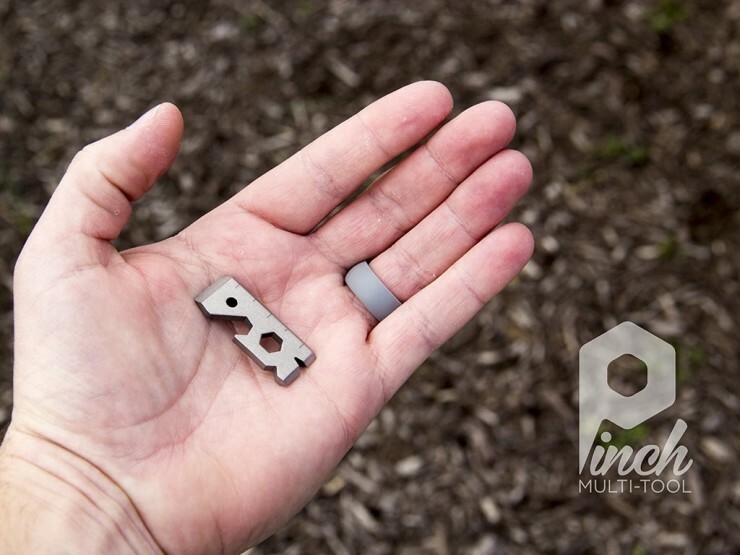 Titanium Multitool Is About As Small As They Get | OhGizmo! By David Ponce on 04/15/15 • Leave a comment! 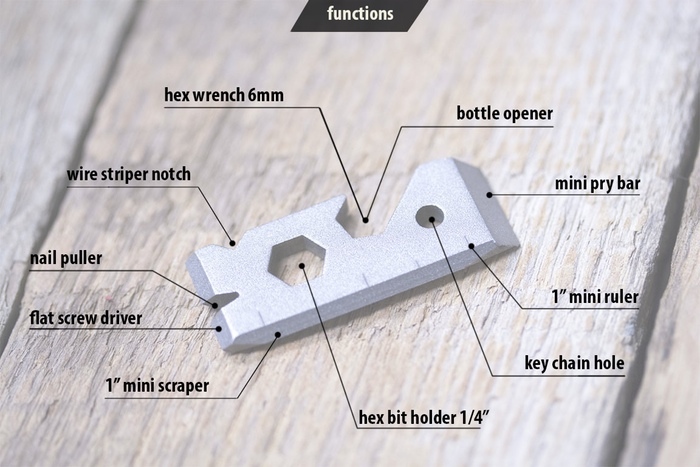 Chalk this one up to efficient minimalism, but we can’t remember the last time we came across a multitool that crammed this many functions in as little a package. The Pinch! Titanium Multitool is able to do 11 different things, yet measures 1.5”x 0.5”, which is small enough to be carried around everywhere. Functions include: wire stripper, bottle opener, mining pry bar, and more. The image below lists them all. A $19 pledge will get you an Early Bird Pinch!, with the price going up to $22 if you’re late to the party.